As Anthem residents since 2001, we can tell you it’s not just a place to live, it’s a way to live! Anthem is located on I-17 approximately 10 miles north of Phoenix. 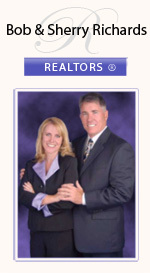 It is a Master Planned Community, developed by Del Webb, yet it is a community for all ages! Every detail was considered in the plan- from the schools to the shopping, to the recreation. Your home in Anthem comes with so much more than just your residence! You also get the 63 acre park with catch and release fishing, three story indoor rock climbing wall, full court indoor basketball, Teen Rec Room, 6 Lighted Outdoor Tennis Courts and the Big Splash Water Park- not to mention state of the art fitness equipment! There are classes, organized sports, and activities for all ages. There’s something for everyone in Anthem, including, but not limited to: Youth Camps, Acting, Music, Gymnastics, Dance and fitness classes. There is a comprehensive Aquatics program with classes for all skill levels. Kids of all ages will enjoy the Basketball, Soccer and Baseball leagues… all right here in the community! The Big Splash Water Park is here for the community members to enjoy. It includes a water playground, beach-entry pool, 2 water slides and a tot pool. There is a year-round 8 lane lap pool, diving tank with 2 boards, and sand volley ball court. 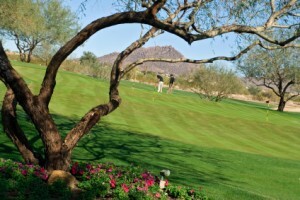 If you’re looking for an exclusive, gate guarded, golf course community, look no further than Anthem Country Club. The Persimmon and Ironwood Courses are nestled at the foot of Daisy Mountain, with beautiful views all around. The Club offers 2 clubhouses, fine and casual dining, tennis courts, pools, spas and private fitness rooms. With professional golf instruction, tennis instruction and personal training available at the Club, you’ll find your calendar booked with fun things to do and learn. Anthem is a part of the Deer Valley School District, and we have four Kindergarten – Eigth grade schools here, plus Boulder Creek High School. And yes, we even have a library! The Maricopa County Library is a beautiful facility, conveniently located and easily accessed. So, what are you waiting for? Anthem has it all! Did I mention it was voted Best Master Planned Community in America? Call or Email us for your personalized tour of this outstanding community. There are lots of brand new homes left for sale, plus plenty of fine existing homes, ready for purchase. Take us with you on your first trip to the builder, and we can save you thousands!